Although the rest of the glue is small, it is difficult to cut a little when cutting and & after cutting, the fibers at the end are easy to remain. Pet dogs attached to the chair can be easily removed, scissors are unnecessary also convenient. It is in the middle of a refreshing type. It is good to cut the tape easily. I feel that it is gone soon as m is small per turn. It will be saved if there is something a little more. It will be more helpful if there is something a bit cheaper in unit price. This review is about item#10059567. It is exactly good adhesion. It's just good viscosity, handy without paste remaining. I purchased various products of curing tape I bought this item by reviewing the review I actually use it Although it has adhesive strength Easy to peel off Even if time has passed, it did not remain Nori when using outdoors Temperature difference over 10 ° C There is no peeling trace on even one day I think that it is a wonderful item We expect that the width of the tape and the variation of the length color will increase. Fix the curing seat to the floor and fix the blind string to the sash to prevent reaching children's hands. 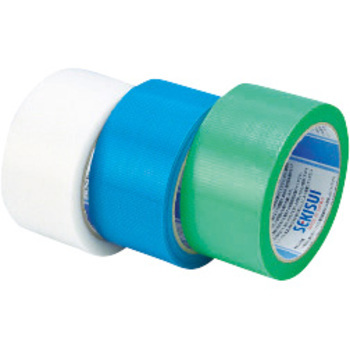 I love it as a curing tape which can be affixed securely to plastic, white board, glass surface, cloth and so on. It is stronger than cellotape, it is weaker than gum tape, so its use is wide, it is also pleasant that it can easily be torn by hand. We have a classroom where children draw pictures, so there are lots of scenes to cure. Transparent, ranging from the table to the floor, until work, can be cured fashionable and favorite. Other people mentioned it, but the curing tape of similar products sometimes remains, glue, I think that this product is hard to remain adhesive. Although it is not a professional, we use curing tape of each company. Even if the appearance is the same, the difference of goods is something that is too hard, it is hard to cut out, the condition of the nori is such as imitation and there is a habit each. In conclusion, Sekisui 's thing is judged to be the best and I bother purchasing it like this. There are as many cheapest as there are in the home center etc., but Sekisui is expensive as it is quite expensive.